The waters around Cozumel are home to part of the second largest reef formation in the world, boasting over 100 types of coral and more than 250 species of fish. 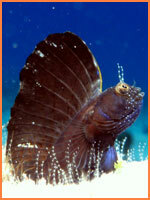 The most precious areas are in a protected marine park that covers an area larger than 22,000 American football fields. 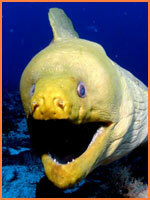 Is it any wonder scuba diving in Cozumel is so popular!? In this Cozumel diving section you'll find great options for scuba around the island for experienced divers and beginners. 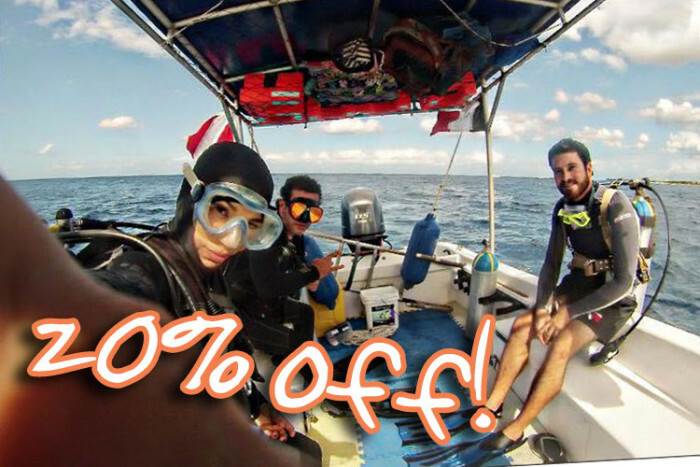 Enjoy information about the Marine Park, insider tips on the best Cozumel dives and some awe-inspiring underwater photos from around the island. Or, if you dont feel youre ready for diving and would rather try some snorkeling, take a look at our brilliant Cozumel snorkel tours and activities. You haven't seen Cozumel until you've been beneath her waters, so come on, jump in! 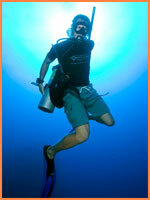 Another fantastic option for you to try diving here in Cozumel's calm, crystal clear waters. 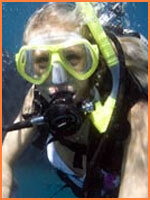 This short boat diving course is with one of our friendly, fully-qualified, English-speaking instuctors. If you're a certified diver who hasn't dived for 6 months or more, or simply needs to brush up on their skills and knowledge, then this refresher course is what you need. 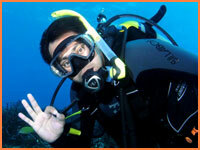 Already a certified diver and looking for a reliable, local, knowledgeable dive operation? We only work with recognized instructors we know personally. They use excellent boats with friendly captains and are trustworthy, safe and fully insured. 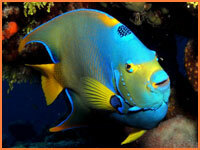 The total trip lasts about 4-5 hours and youll go to two world-renowned diving spots in Cozumel's Marine Park. If you really want to learn to dive in Cozumel and have 3 to 4 days, then you can become a fully qualified PADI open water diver with this certification course. The course includes all training, 5 dives, equipment rental (BCD jacket, regulator, mask and fins), educational material (diving manual, study guide log book, diving table, student record folder) and dive certificate/card. 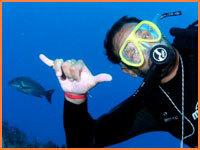 Many diving students choose to start their diving course at home in a pool and then travel to Cozumel for the open water dives needed to complete the certification. Our Student Referral program includes the 4 required dives (2 from a beach, 2 by boat) with an instructor and all equipment. 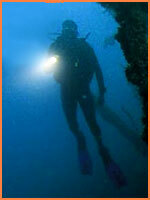 Enjoy an unforgettable nocturnal experience with our reliable, local, knowledegeable dive professionals. We only work with recognized instructors we know personally and who have insider knowledge on the best night dive locations. Search for octopus, sleepy parrot fish, eels and other wonderful creatures of the Cozumel night on an underwater experience you'll never forget. Cave diving experts from across the world flock to the region, find out what theyre so excited about! We work with selected, experienced local cave and cenote diving specialists who can show you some of the most astounding sights you will ever see underwater and underground. 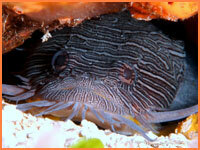 Cozumel is perhaps the most famous diving destination in Mexico, but all around the area are other hidden diving gems. 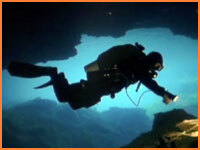 The mainland is a Swiss cheese of cenotes and caverns, ideal for cave diving. Around the Yucatan coastline of cayes and reefs is some of the most incredible sealife for you to join in the water, including whale sharks and bull sharks. Keep the perfect memory of your dive trip in Cozumel with exemplary photos taken by talented Cozumel underwater photographer, Miguel Angel Reyes. We love his work so much, we use it on our site! Watching him work, you can tell that he loves what he's doing. Even before he gets in the water, he's establishing shots of you and the other divers. And once underwater, Miguel records each moment as you drift among the towering coral formations and the exotic fauna that Cozumel is famous for. Record your dive trip in Cozumel with a breathtaking film recorded and produced by Cozumel underwater videographer, Miguel Angel Reyes. Miguel loves his work and youll see that from the way he establishes shots of you and the other divers on the boat and how he films each moment as you drift among the towering coral formations and the exotic fauna that Cozumel is famous for. The results are breathtaking. Miguel has a knack for anticipating the actions of the fish, and other wildlife. But not only does he film the marine life, he works to get you both in the frame together. The Marine Park runs along the coast south of downtown and around Punta Sur - the southern tip of the island. When diving, snorkeling or swimming in the Park, help preserve its important and diverse underwater ecosystems. 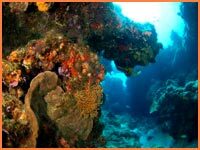 A series of thisiscozumel.com short news articles with insider tips from experienced professionals and recreational divers in Cozumel.